We here at IndyWatchman are celebrating the 500th year of the Radical Reformation while others are celebrating just the regular Reformation which has given us the greater part of the apostasy we are witnessing today. While it was the Radicals who gave us “believers baptism” and “separation of Church and state” all the credit was given to Luther. After 500 years it’s time to set the record straight. Zwingli, Luther, and Calvin gave us war, theocracy, infant baptism, compromise, and yes, justification through faith alone, of which they practiced in words only. The Radicals, on the other hand, not only believed in justification by faith but lived it as many historical documents show clearly and their vast number of martyrs prove. 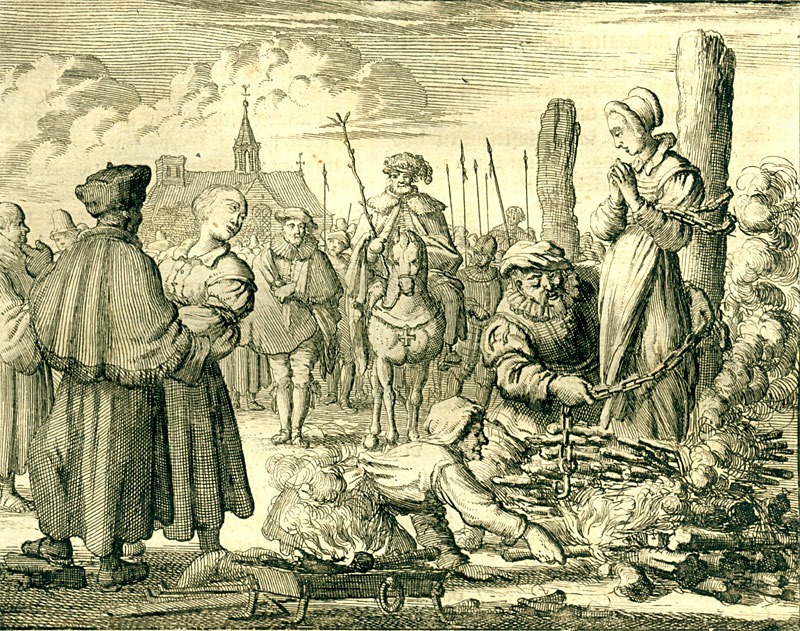 The Reformation of the Reformers Zwingli, Luther, and Calvin produced virtually no martyrs because their converts were not converts at all but they were rather enlisted through compulsion by the state and forced to become members of the state-controlled church. The Reformers, first of all, hid behind the state and used the state to forcibly promote their cause then created, along with the state, a theocracy which made infant baptism mandatory. They neither practiced “faith” nor “separation.” The Reformers believed as the Catholic believed, from which they came, that the Church should control the state and infants should be baptized at birth. Their Reformation was political and deliberately grabbed for the reins of power as was apparent in the lives of both Zwingli and Calvin and less so in Luther but he was nonetheless conjoined with the state to insure the success of his venture. My question is, why all the celebration of an enterprise that failed to complete its mission, and why is not the Radical Reformation celebrated when it was they who ran and completed the race and held high the standard of Christ and refused to compromise, earning for them the badge of true faith and service? The reason for the non-recognition of the Radical Reformation is no different now than it was then. The Church that Jesus established has never been the grand enterprise that is firmly established today and is vastly spread across the land. The real Church is small and is called a “remnant” and “the elect” of God. Anyone who creates things with cloth fabric understands that a remnant is only a small part of the whole bolt of fabric and is not fit to produce a uniform patterned work. But, the Bible informs us that the Church is made up of these supposed unfit remnants. To God, it is the poor, despised, and rejected who are the remnant and which make up the final tapestry called the Church, who are set apart for final glory. It is this small Remnant who have survived through the ages every attempt of Satan to destroy them. The world of established Christianity will not now, as it would not then, embrace the suffering that comes with true faithfulness to Christ. The Radicals understood and many paid with their lives the price demanded by the Reformers, the Catholic Church, and the state. When Christ calls out His Ecclesia He does not call it into an organization but rather into an organism, a living breathing thing, nor does He call it into the safety of the state or any other manmade system, but rather He calls it into suffering and death. The Radicals were nonconformist and this is why they were ignored, persecuted, and murdered. Consequently, the real Church of Christ is small; there are not many who will resonate with such a calling. God elects that person whose spirit is in tune with the Holy Spirit and calls him out of this world and sets him apart as a chosen vessel and a living stone that will make up the completed Bride of Christ and the City of God. So, yes, celebrate this great freedom we have in Christ but if you are under the delusion that what the Reformers gave us was the last word on the subject then you are living a life of Christian fantasy that has been passed down for 500 years. It was not the faith of the Reformers that should be celebrated but rather the faith the Radicals who truly picked up their cross and followed Christ and embraced His suffering, not as something to be avoided, but as the final act of love for their King. Steve – another great post. I suppose the fact that the visible church celebrates the “Protestant Reformation” while overlooking the faults of its leaders and the end result only serves to underscore your point. Yes, you are so right David. I must add though that the adversary always highlights the fact the there were those who later, who were called Anabaptist, that did not adhere to the tenets of the founders and it is on these that most will focus their attack. Also, there are many Anabaptist today who have slid into the liberal camp. None of this takes away from the most important fact that at the beginning there were a majority who were very faithful to the Lord and gave all to win His approval. The visible Church of the Reformers, nevertheless, will never share the stage with the non-resistant Anabaptist, and honestly, they are content to stay in the background. My point is to educate uninformed Christians that there was fake news even then. Rev20:4 says martyrdom has and will come again for those faithful to God’s word who refuse to take the mark of the beast.